These are perfect for the office — and you don’t have to assume any awkward positions to do them. Frequent movement throughout the day doesn’t just feel good — there’s science behind why it boosts your energy. When you stretch, blood recirculates throughout your body and brain, making you feel energized and clear-headed. Stretching is particularly effective for workers who spend the majority of their day sitting in a chair, as light movement can help reverse the damage from being sedentary — which includes increased risk of cardiovascular disease and death. Lucky for those who work in an office, a good stretch doesn’t have to involve laying on the floor, breaking a sweat, or making gigantic movements; it can be a micro movement, like a simple stretch. 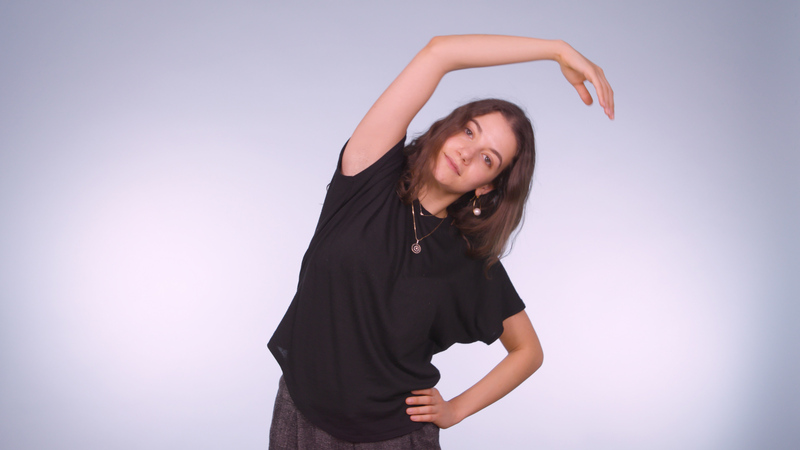 Here are three small stretches you can do during the day to get your blood flowing at work.